In the midst of a building moratorium, Peoples' Self-Help Housing got the green light to construct a 33-unit apartment complex in Cambria. 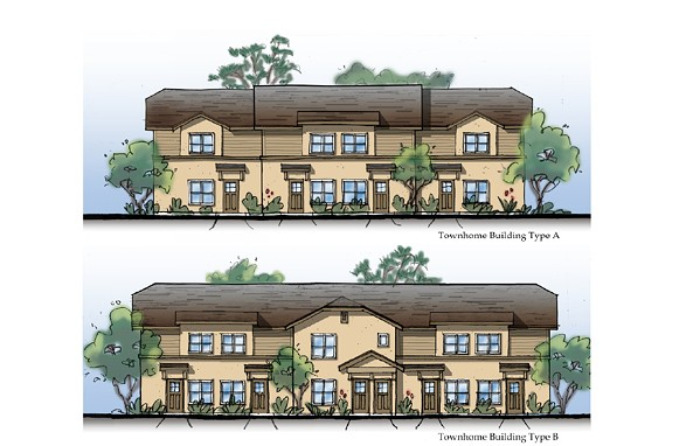 At a Jan. 10 hearing, the SLO County Planning Commission unanimously approved the nonprofit's request for a coastal development permit to construct the eight-building apartment complex on Schoolhouse Lane. During public comment, Cambria resident Catherine Clayton expressed her concerns over the increased amount of water that the proposed project might use. "We have been through a lot of struggle to pull back and not have showers and not use water outside. I own a nursery and it's been a real big struggle for us, in order to have just enough water for us," Clayton said. The Cambria Community Services District (CCSD) declared a stage 3 water shortage in 2014 alongside conservation measures and penalties for overuse of potable water—the declaration was lifted in 2017. Airlin Singewald, a senior planner in the SLO County Planning and Building Department, said the project is not projected to use more water, as there are retrofit points set aside by the district for a development like this. The district's retrofit program requires new construction to offset its water demand by purchasing retrofit points or actually retrofitting noncompliant water fixtures within the CCSD's boundaries. Another concern raised at the meeting was Cambria's building moratorium, which has been in effect since 2001. Singewald said the moratorium has an exception for affordable housing. "Staff recommended approval, and the Planning Commission approved the project based on the CCSD's intent to serve letter, which verified that the CCSD has adequate water availability to service the proposed project," he said. The project will be on the same site as the nonprofit's current 24-unit multi-family Schoolhouse Lane Apartments—built in 1997. John Fowler, president and CEO of Peoples' Self-Help Housing, said the organization acquired the site in Cambria 21 years ago and building the Schoolhouse Lane Apartments affordable housing complex was the first phase. "We never thought it was going to be just 24 units, we always thought we would develop additional units. It was a long time coming," Fowler said. He said there is a clear need in the area—the existing complex has 140 people on the wait list. The organization is planning to apply for low-income housing tax credits and a bank loan in February 2020. Construction is slated to start in February 2021.